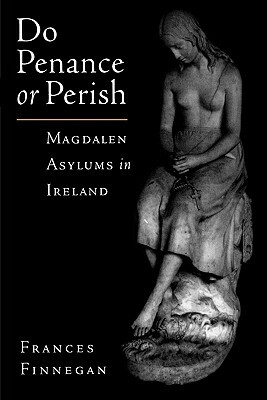 Frances Finnegan traces the development of Ireland's Magdalen Asylums--homes that were founded in the mid-nineteenth century for the detention of prostitutes undergoing reform. The inmates of these asylums were discouraged-and many forcibly prevented-from leaving and sometimes were detained for life. Put to work without pay in adjoining laundries, these women were subject to penance, harsh discipline, enforced silence, and prayer. Their hair was cropped, and they were made to wear drab and shapeless clothing. Forbidden to mention their past lives, their children taken away, the inmates themselves were referred to as children and forced to address the nuns as "Mother." As the numbers of prostitutes began to dwindle, the church looked elsewhere for this free labor, targeting other "fallen" women such as unwed mothers and wayward or abused girls. Some were incarcerated simply for being "too beautiful," and therefore in danger of sin. Others were mentally retarded. Most of them were brought to the asylums by their families or priests. Unbelievably, the last of these asylums was closed only in 1996. Drawing on previously unpublished material, Finnegan presents case histories of individual women and their experiences in Magdalen homes, which claimed some 30,000 women in all. She looks at the social consequences of such a system, and ponders how it was able to survive into the late twentieth century, right through the feminist campaign for women's rights. Do Penance orPerish is the first study of this shameful episode in Irish history.